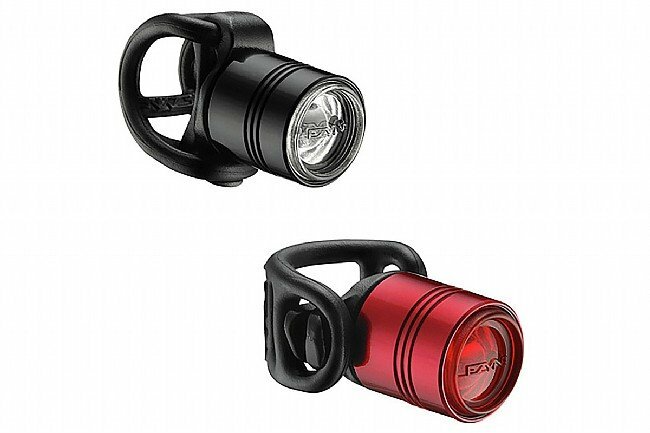 Lezyne's incredibly compact Femto Drive Light Set is a great way to increase your safety after dark. 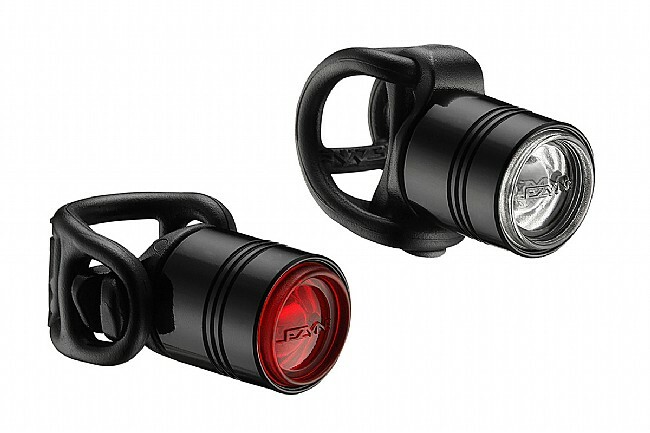 Both the front and rear lights feature high-grade optical lenses and durable, weather resistant CNC-machined aluminum bodies. The power buttons have been integrated into the lenses themselves, so riders need simply press down on the lens to operate the light. 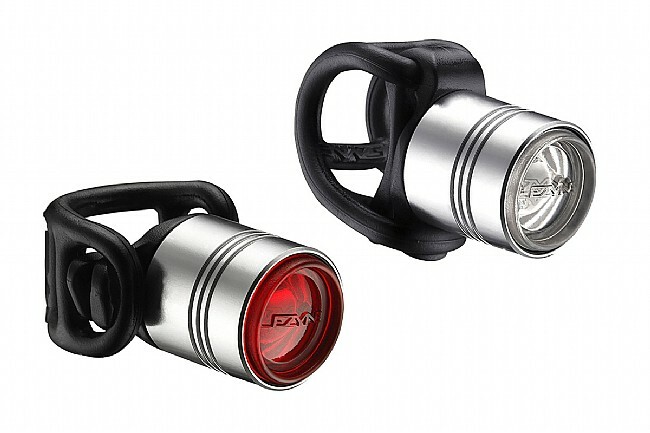 Adjustable silicone straps secure the lights to handlebars, seatposts and similar surfaces. Despite their small size, the font light delivers 15 Lumens from and the rear 7 Lumens. The Femto Drive Light Set runs on CR2032 batteries (included). Front and Rear Lights are included. System weight: 57g (actual).